Love the grass in the beak on your first photo, and the second one is just so fluffy and cute looking. The baby is adorable, and it looks like dinner was in progress. Love it. Oh this is absolutely beautiful! How nice to see the small one. 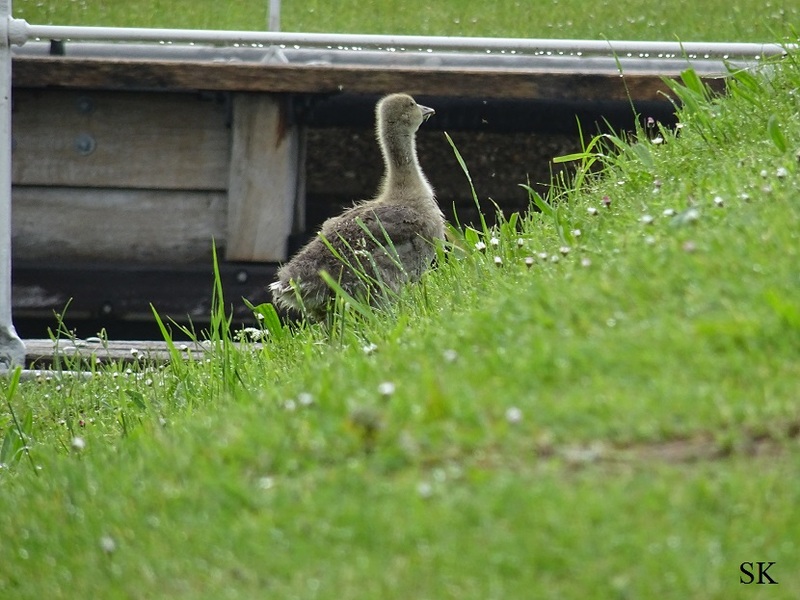 And the big one is carefully watching its goose child..
Mooie foto van de Gans met die grassprietjes in zijn bekkie. 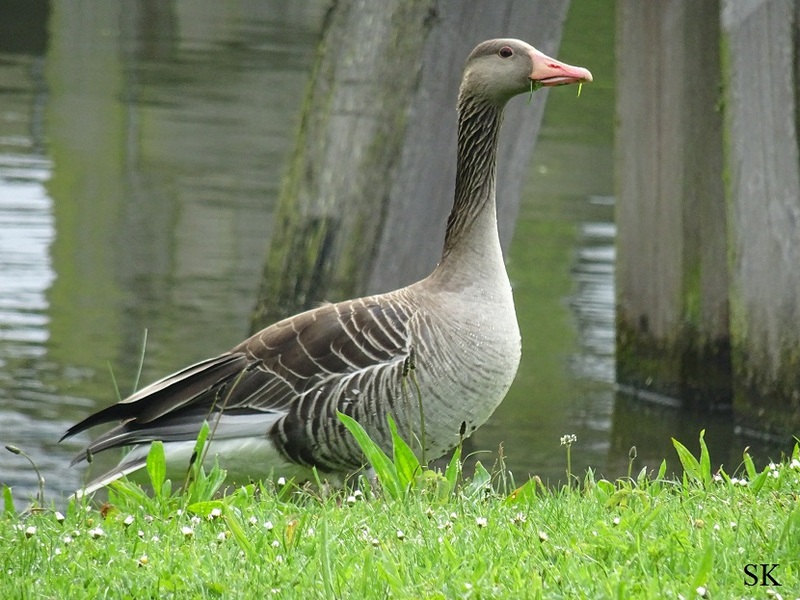 Mooi SK, de gans en het jong. They are very beautiful and cute !!! !